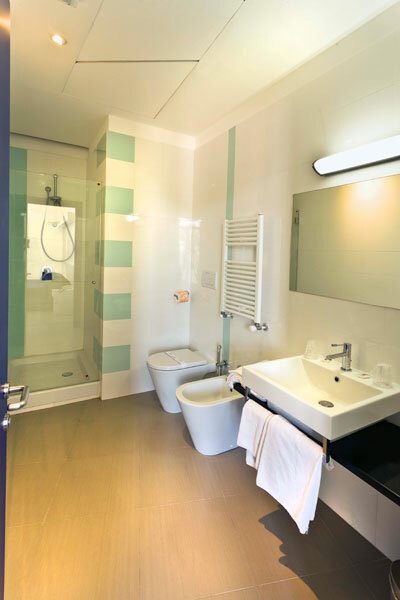 Hotel Eden offers its guests 60 rooms including standard rooms, rooms with "French balcony" and family rooms, to provide solutions tailored to the customer's needs. 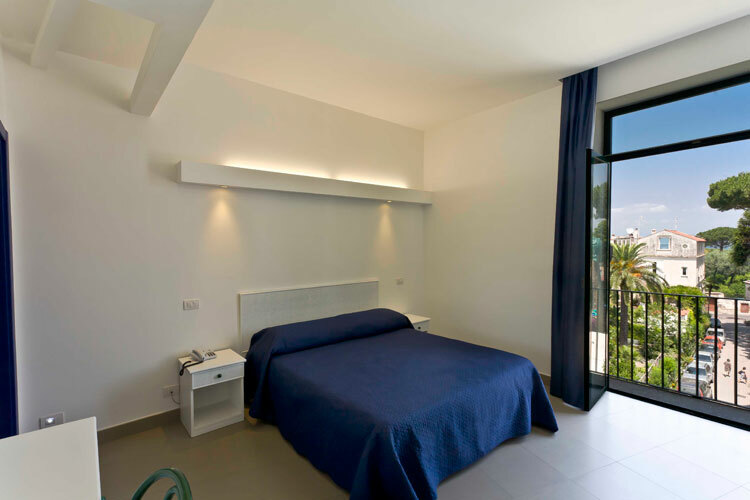 The rooms are available as singles, doubles with two single or one large bed and triples; the family rooms, which are ideal for families with children, consist of two separate spaces with common bathroom and can accommodate up to 5 persons. 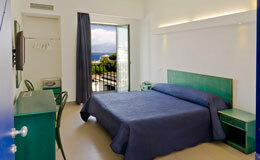 The "family rooms" and "French balcony" rooms have a pleasing view of the park or the water of the Gulf of Naples and are large and airy with elegant, essential furnishings in lively colors that create a comfortable Mediterranean atmosphere; the standard rooms, on the other hand, have a window facing the rear and no balcony. 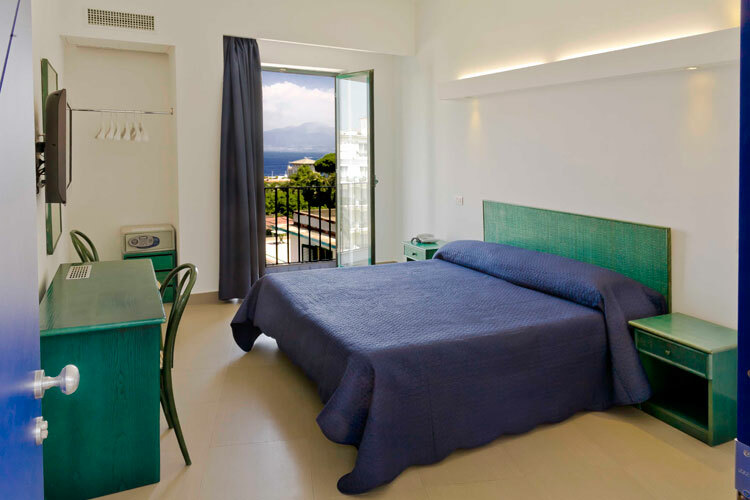 All types of rooms have the same conveniences and higher than a 3-star hotel in Sorrento: satellite TV, direct-line telephone, mini-bar, safe and air conditioning. 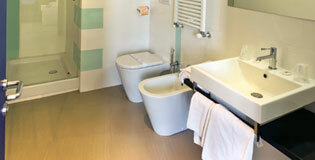 The private baths have a tub or shower and hair dryer. For guests who wish it, breakfast is pleasantly served in the room. Mediterranean-style rooms with balcony and splendid view of the sea. For 1-4 guests. Cozy, comfortable rooms that are an excellent value for the price. For 1-4 guests. 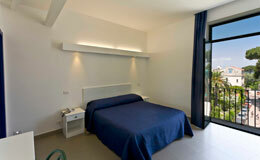 Rooms with small balcony overlooking the garden. For 1-4 guests.